If you have a business and you have been too busy in exerting efforts on building reputation with your valued customers and reaching some important prospects, you certainly don’t like to eliminate holiday cars on your budget for marketing. A printed holiday greeting card will always be a very affordable way of marketing your business and showing your clients that you don’t forget them during the holiday season. Greeting cards are usually employed as great holiday marketing tools, yet they could also be used for other purposes that you may have. The personal touch that comes from a greeting card is making it a suitable medium to connect with the customers in the emotional level and the customers have the tendency to make a purchase on the emotion and then defend with the logic. The greeting cards are likewise a part of a great business strategy to boost customer loyalty. It will be a great way of saying thank you to your customers for being loyal to your business throughout the years and to inform them how much you value them. There is nothing that is more important compared to giving thanks to your clients, customers, vendors, prospects and community partners. Printed business holiday cards mean more to recipients compared to digital cards. They prove that you value your relationship with your customers to have the cards printed professionally. People love to receive cards in the mail. A well-designed & professionally printed holiday card makes that lasting impression on the recipients. The impression that you would leave to your customers would outweigh the price. Printed holiday cards offer a good opportunity for branding a business. 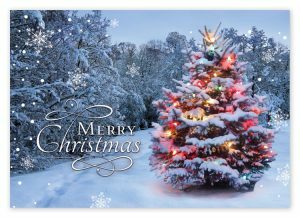 A professionally printed company holiday card is an excellent way of marketing your business in a highly personal way during the entire holiday season. A printed holiday business card is giving you the opportunity to reconnect with your valued customers and other people you might have lost touch with. During the hectic holiday season that is full of endless advertising, it would make sure that the message you would like to convey will get straight to the hands of your customers. A holiday card will always be certain to get opened and will be kept during the whole holiday season. Eye-catchy printed holiday cards will let you strengthen the relationship between you and your customers. These are the biggest reasons why you should consider mailing out holiday cards to your customers during the busy holiday season. As this year is coming to an end, always keep in mind that a printed business holiday card will be an excellent investment to maintain customer loyalty and to give thanks to people who never got tired of supporting your business or company throughout the years. Today is the right time to begin preparing your business holiday card to make sure that it is printed and within the mail in time for the upcoming December rush.